West Ham have accused London Stadium chiefs of making "wrong and misleading" accusations about the Premier League club's tenancy. 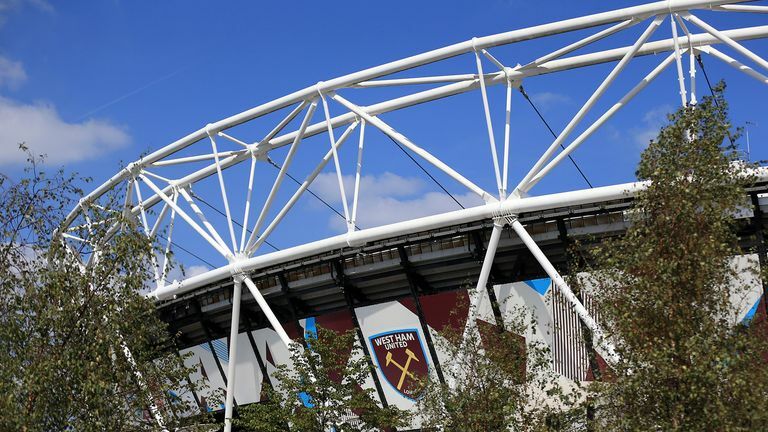 The Hammers have hit back at Lyn Garner, chief executive of the London Legacy Development Corporation, over several claims regarding the venue's cash problems that were made at a London Assembly meeting on Thursday. E20, the company set up to run the former Olympic Stadium, recorded operating losses of around £22m for the last financial year and faces the possibility of being dissolved. Garner said one of the main financial issues was the £2.5m annual rental fee which West Ham secured the stadium for in 2013. According to Garner, that amount does not even cover the cost of staging matches and she described it as "the elephant in the room". The club responded to that claim in a statement on Friday evening, saying: "West Ham United are concerned that this is deliberately misleading the public and, more importantly, taxpayers. "West Ham now pay £3m in rent due to additional annual fees that have been introduced since our agreement in 2013 and a further £6m was received by our landlord from the food and beverage sold at our matches. "With additional fees we pay for services at the London Stadium, the total revenues received from West Ham United and our activities is £10m a year. West Ham, who remain in dispute with their landlords over various issues, also addressed some of the other claims made by Garner and said it is wrong to blame the club for E20's financial problems. The club's statement added: "Ms Garner pointed out that E20 would not allow our pitch surround to be in our club colours because the LLDC are seeking a commercial deal for stadium naming rights and the track might be part of that negotiation. "The Premier League do not allow commercial sponsor logos on pitch surrounds and therefore that can't happen. It is again misleading. "West Ham United have offered to help LLDC sell the naming rights and other commercial deals using our expertise of running the commercial side of a football club and its stadium. They have declined. "The current strategy to point the finger at West Ham United is simply not the solution to the long-term viability and commercial success of the venue. "We are running a football club, not the stadium, and for Ms Garner to lay any blame for their financial struggles at our door is wrong and misleading the public."